Shalom! 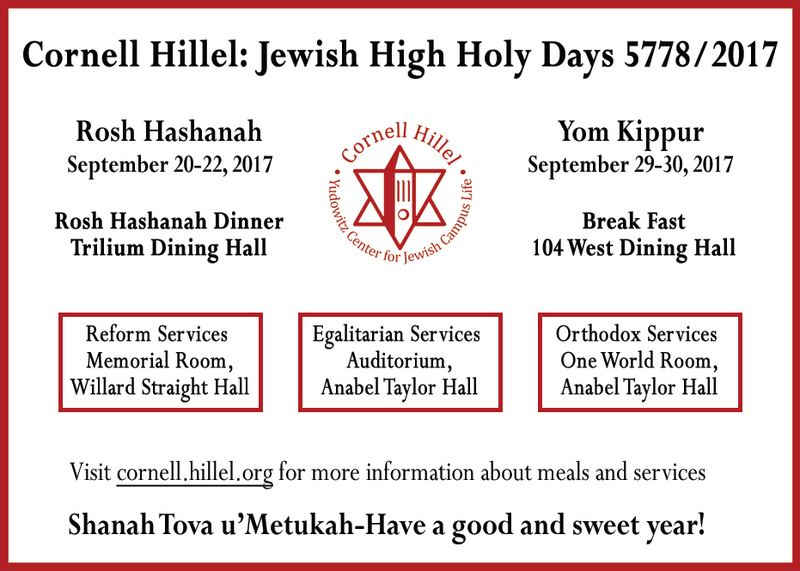 On behalf of the Cornell Hillel staff, I’d like to welcome you back to the Jewish community at Cornell. Our community is large and diverse; open and pluralistic. 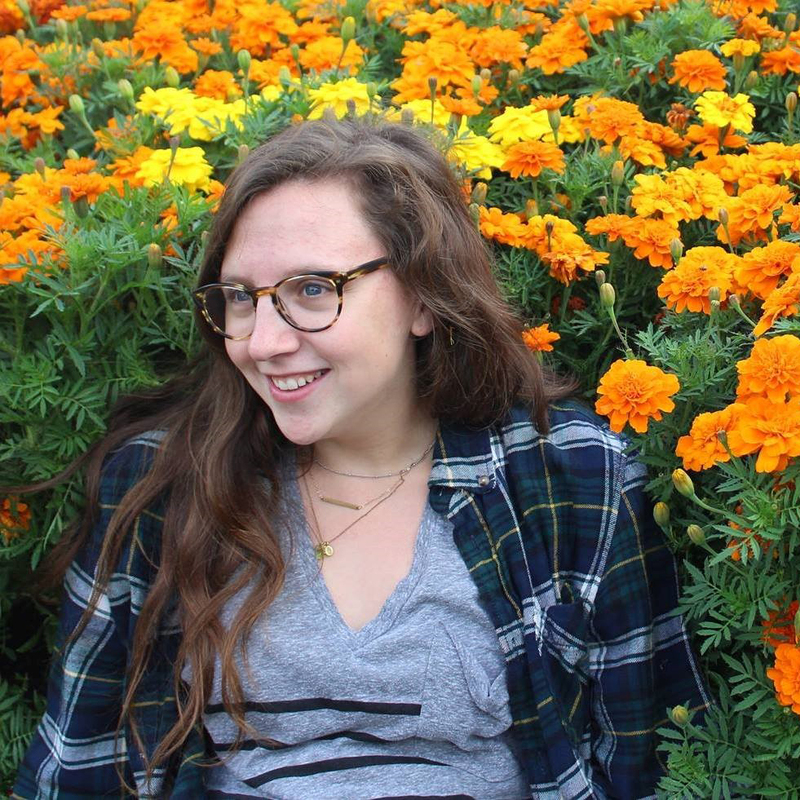 We have 12 fantastic team members (six who recently joined us) who are Reform and Orthodox, connected to Greek Life, and passionate about Israel. Our door is always open. 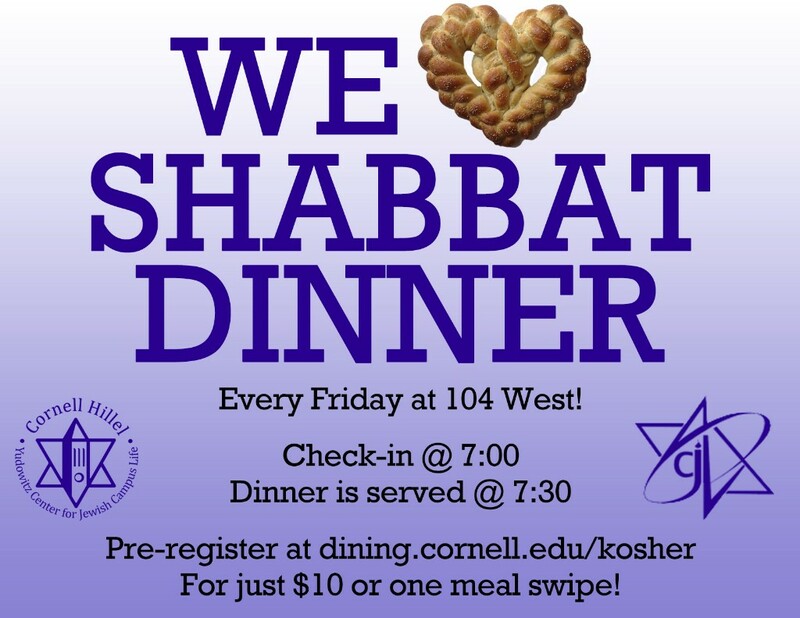 We’d love to meet you and help you find your Jewish home at Cornell. In addition to our weekly newsletter, you can find us on Twitter, Facebook, Instagram, and Snapchat. Our offices are on the ground floor of Anabel Taylor Hall, and you can also find us at 104 West, tabling on Ho Plaza, on North Campus, and at Café Jennie. We hope to see you soon! 7:00 PM Check-in. Dinner is served at 7:30 PM. Pre-register here before noon on Friday for just $10! Walk-ins are also accepted for $2 more. We are excited to announce that the Cornell Hillel team has expanded with 5 new staff members! Jonah is from Minneapolis, Minnesota. 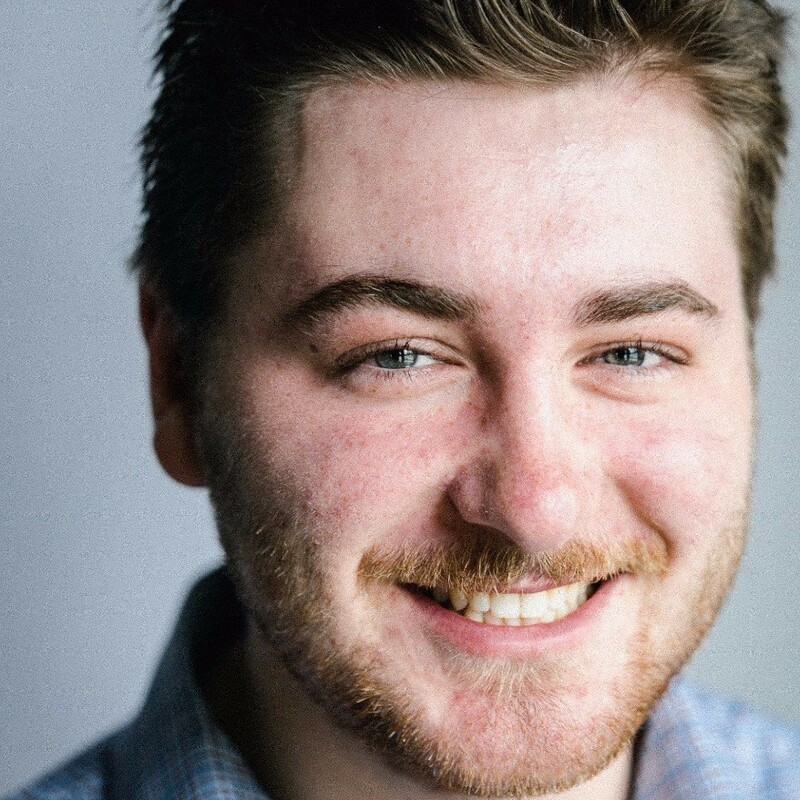 Before starting work at Cornell Hillel, he was both an Uber driver and a Starbucks barista. Jonah can name the capitol of (almost!) any country in the world and all US states so be sure to quiz him when you see him around campus! 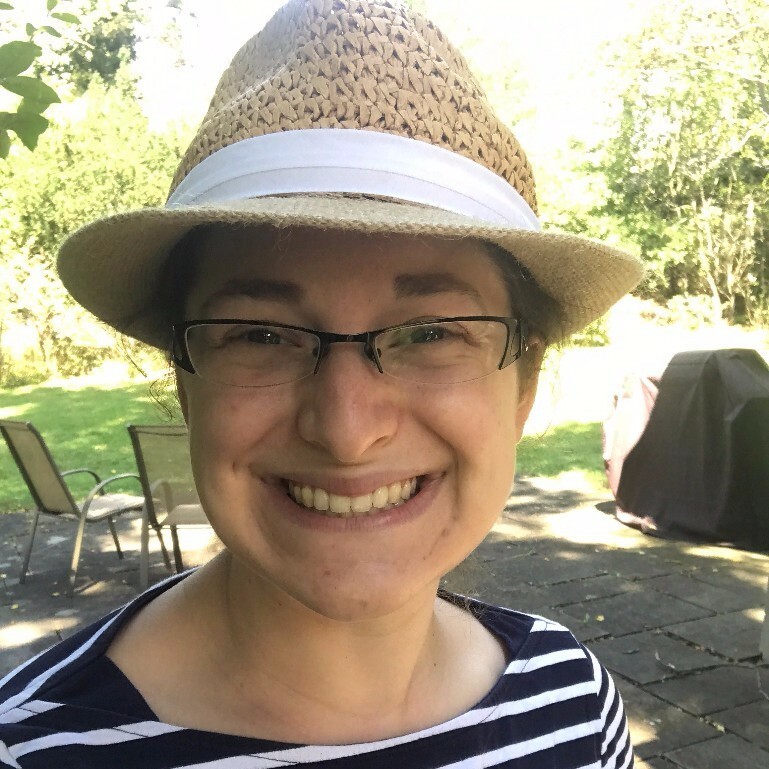 Dana is originally from New Jersey, and comes to us after finishing her undergraduate degree at George Mason University. Her favorite Jewish holiday is Hanukah, because potato latkes. 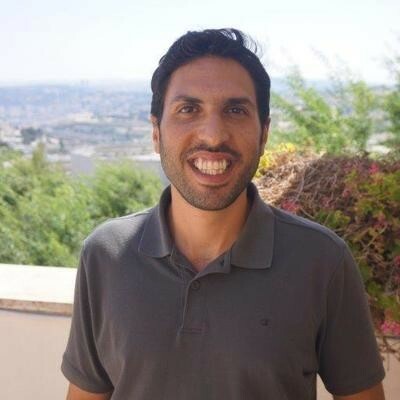 Tamir is originally from Bat-Tam, Israel. 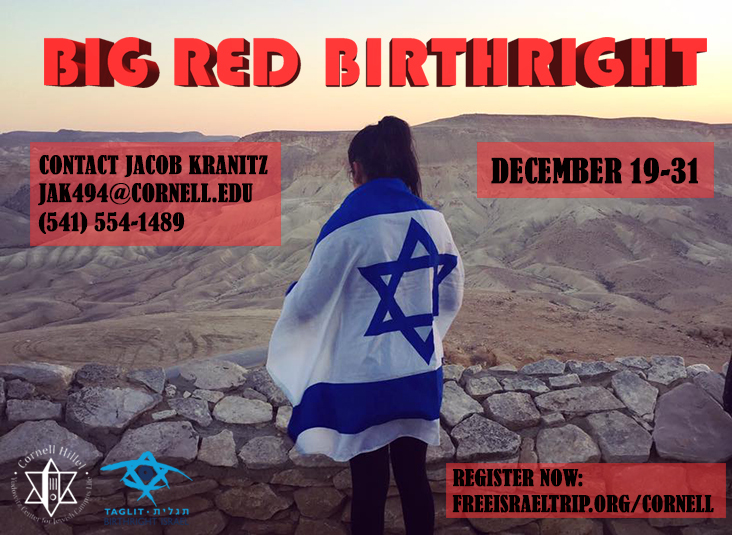 Before coming to Cornell Hillel, he was a student at the Hebrew U, worked at the Truman Research Institute in Jerusalem and as a security guard at the Biblical Zoo. Fun fact about Tamir: the first time he got on an airplane, he didn't land with it because he went skydiving out of it! Sarah is originally from Cleveland, OH. She took a balloon making class in middle school, and can shape a wicked balloon animal. 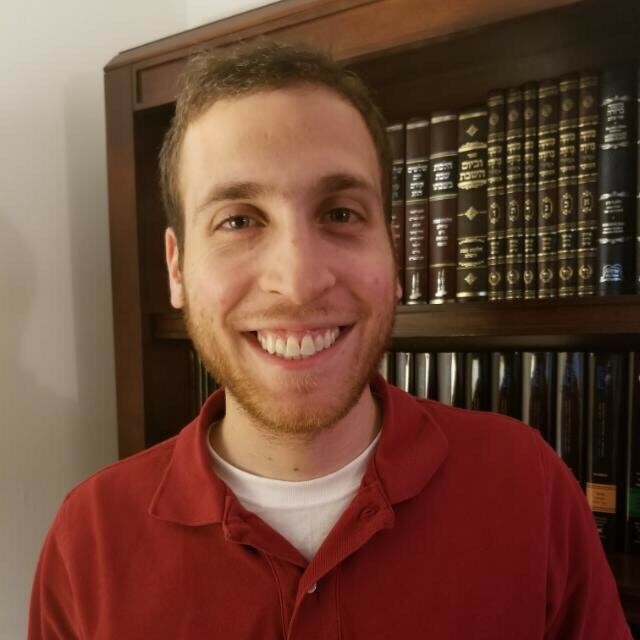 Daniel Kasdan is originally from the other side of Teaneck, NJ and comes to us from rabbinical school at Yeshiva University (RIETS). An avid miniature golf player, he looks forward to seeing 'Star Wars: The Last Jedi' on opening night with interested Cornellians. 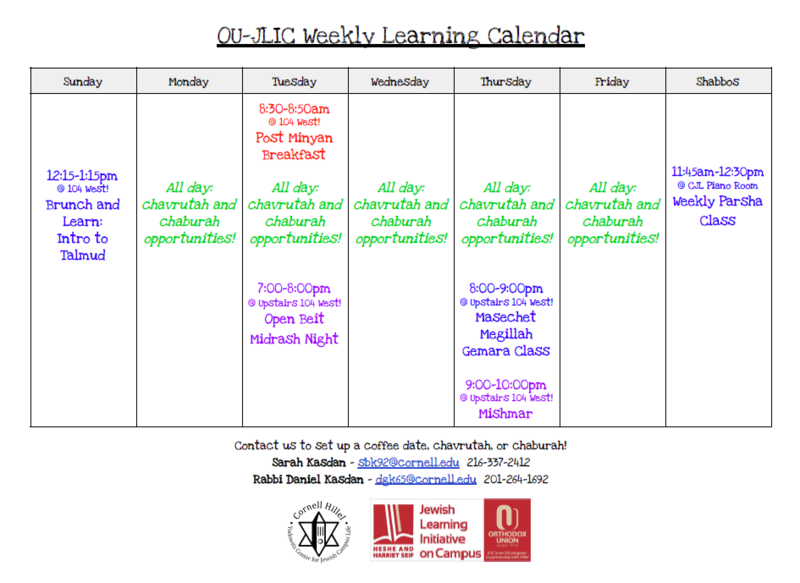 Introducing the new OU-JLIC (Jewish Learning Initiative on Campus) Educators: Sarah and Rabbi Daniel Kasdan! They are available for one-on-one and small group coffee dates or Jewish learning (chavrutahs or chaburahs) - whatever works for you.